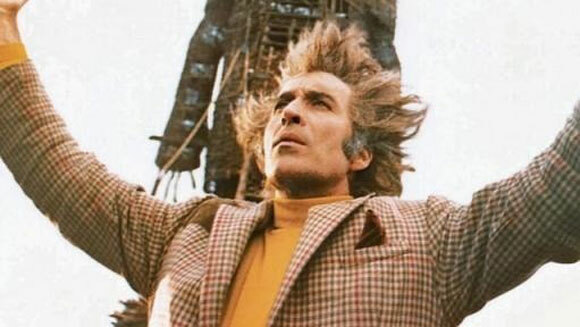 Christopher Lee has stated that The Wicker Man is one of the greatest British films ever made. However, he believes that it could have been ever better had it not been for meddling producers cutting the film to shreds to serve their challenging commercial endeavours. In short, they didn’t like the film. They couldn’t figure out how to sell it to audiences and enacted creative control over an already completed film, stripping director Robin Hardy of his duties. This saw The Wicker Man “hacked to pieces” as actor Edward Woodward recalls, in order to screen the film as a second feature in a double bill. The Wicker Man’s shortened version – running at approximately 87 minutes – is the version most people will recognise. It is the version assembled after Robin Hardy had overseen his approved 99-minute cut (a cut already shortened by the director under producer pressure) showing, crucially, Howie spending two nights on the island. 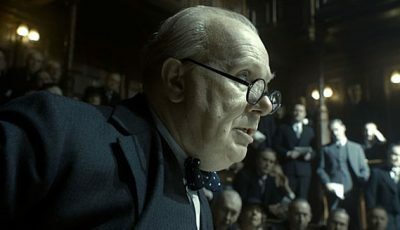 Eric Boyd-Perkins, the editor tasked with making the cuts, knew that to remove nearly 15 minutes from the film’s runtime meant making major changes to the structure of the story. He came to conclusion that by assembling the story in a way that depicted Howie spending only a single night on the island, he could eliminate certain sequences without overtly damaging the effectiveness of the story’s flow. 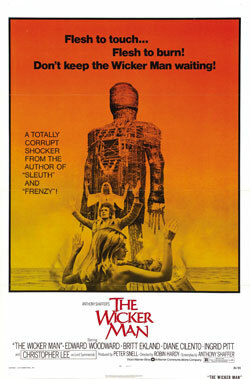 Given that The Wicker Man became a cult hit off the back of this version, you’d have to surmise he did a good job. However, various versions of The Wicker Man have been seen by audiences over the years thanks to its problematic original theatrical release. Christopher Lee was particularly disappointed with the shortened version despite him declaring it one of British cinema’s finest movies. His long-standing assumption (a pipe dream perhaps) is that the original film elements – believed to be lost – still exist somewhere and that the film will be seen in its full-length glory one day. Part of Lee’s annoyance appears to spring from a personal grudge he has with Michael Deeley who took on an executive producer’s role after production company British Lion was acquired by EMI. Lee has said publicly many times how he feels Deeley hated the film and wasn’t interested in its success. Christopher Lee has stated that The Wicker Man is one of the greatest British films ever made. However, he believes that it could have been ever better had it not been for meddling producers cutting the film to shreds to serve their challenging commercial endeavours. Original film elements have since been lost with one rumour telling of how The Wicker Man’s negatives went to landfill and are now buried underneath the M3 motorway. Lee, unsurprisingly, blames Deeley for this. However, a longer version was released in the USA on VHS featuring a 96-minute cut. 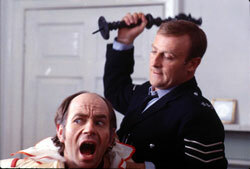 This longer version included small additions to a number of sequences in the film, for example, when Howie meets Lord Summerisle for the first time, as well as a longer introduction to the detective in which we see him at his police station. Luckily, Roger Corman, who was first asked to distribute the film in America, had a one-inch telecine transfer videotape in his archives featuring The Wicker Man’s 99-minute cut. This, the longest version of the film currently available, adds scenes of Howie on the mainland, enhancing his devout Christian beliefs. The additional scenes of Lee, which were lost in the original 1973 theatrical version, add further mystique to the character of Lord Summerisle while providing depth to his sinister motivation. Now, we can see the film as it was once meant to be seen but, due to the degradation of videotape, there is a severe jump in image clarity and quality between sequences taken from the 35mm negative and those remastered from the videotape. Alas, it seems this is the best we’re ever going to get. Does that mean the original vision of Hardy – the version he cut together before assembling the 99-minute version – is lost forever? The answer is: most likely. Deeley is quite blasé about the whole affair, happy to dismissively brush the problem under the carpet. Lee has suggested Deeley is at fault for the missing negative but feels there must be a print out there somewhere. If the original film negatives were ever found, which seems unlikely, they could reveal an even longer version of the film. 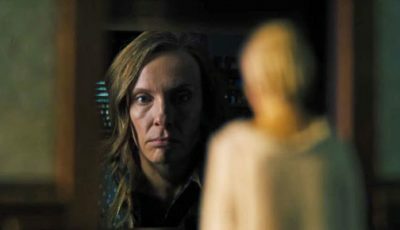 This is because the 99-minute cut Hardy put forward for distribution had originally been trimmed by the director following notes from the distributors and executives. Thankfully, Hardy didn’t succumb to pressure from above to re-shoot the ending. Some quarters wanted a heavy rainfall to suddenly appear, thus saving Howie’s life. It just goes to show how such seemingly small plot details could potentially destroy a film’s potential success. 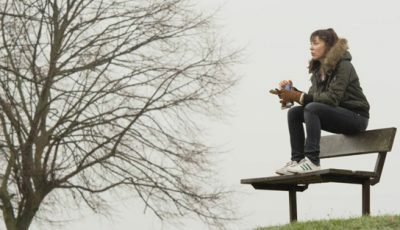 A key reason why The Wicker Man is so brilliant is because of its ending; it’s a viscerally earth-shattering moment and its impact, and the fact it brings the story beautifully together at the end, is because of its unsettling clash between triumph and tragedy, between unrelenting joy and sheer terror. That the film, in its truncated 87-minute cut, still wowed audiences and became a firm cult hit, shows just how effective The Wicker Man is as a horror film. 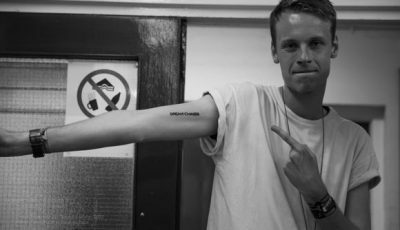 The longer cut emphasises the disconnect between both sides of the religious coin – Howie’s devout Christianity on one side, the islanders strong belief in pagan gods on the other. We also see more of Howie, getting to know about his life before getting to the island. Yet, while the general consensus is that The Wicker Man improves in its longer incarnation, the scenes we lose in the 87-minute cut only add to the unnerving ambiguity that prevails throughout the story. I’ve seen the 87 minute version a couple times and enjoyed it immensely. To be honest, I didn’t know there was a longer version out there. This is definitely intriguing. Great write-up. Fascinating. I didn’t realise I’d been watching a shorter version all this time.